At some point in your life, you've probably played with dirt. It's a practice that many people around the world and throughout history have continued long past childhood, using the abundant material to construct shelters. 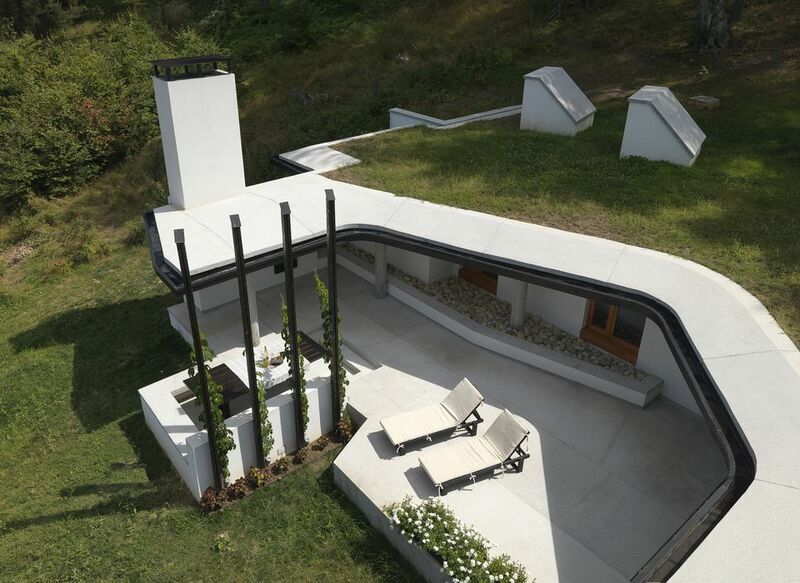 Earth sheltered homes, including underground homes, are becoming a viable passive design strategy. When you build into the ground, the earth functions as a thermal mass, helping to maintain a comfortable interior temperature year-round. However, the structure itself must be carefully planned in order to carry the load of the earth, and considerations must be made outside the realm of traditional home building. For example, retaining walls must be constructed and drainage pipes installed to protect the structure from water infiltration. Underground homes are typically made of reinforced concrete because it does not degrade and exhibits high compressive strength. Dome structures are popular because of how well they distribute the weight of the earth. A layer of insulation must also be installed, as the earth alone is not enough. Finally, homes below grade must be extensively waterproofed. The most common systems include rubberized asphalt, plastic sheeting, liquid polyurethanes. In-hill- If the topography of your site includes a steep enough slope, it is possible to excavate into this hillside and bury a portion of your home. In these types of earth-sheltered homes, one wall is typically left exposed so windows can be installed and the structure can gain heat via passive solar methods. Bermed- On flatter sites, you can pack the earth against the exterior walls of your home so that it slopes away for drainage. The roof may or may not be covered by earth. Underground- To create a truly underground living experience, dig a large recess, construct your home below grade, and fill in the dirt around it. With this type of earth sheltered home, a central courtyard is usually located to allow access to air and light. Otherwise, skylights or sun tubes may be installed to provide additional natural light. Other Considerations- Before you build an earth sheltered or underground home, it is important to evaluate several factors. Consider the climate. The best climates in which to build these homes are those with extreme temperatures, particularly places that experience dramatic temperature swings from day to night. However, a humid climate can create additional condensation issues for an earth sheltered home. Evaluate the location of the water table and frost line. If it is too close to the surface, then it might not be possible to build an underground home. Also, consider the typography and which type of earth sheltered home would be the best fit for the site. The number one rule is to always send water in the opposite direction from your home! Finally, you must determine whether the soil is stable enough to support the construction of an earth sheltered home. Sandy and gravelly soils are the best, while soil containing a lot of clay is not suitable.